Physical Therapy Now Fox Chapel is dedicated to enhancing and maintaining the lifestyle of residents living in and around the Fox Chapel, O’Hara Township, Allison Park, Hampton Township, and Indiana Township, who are suffering from pain and movement disorders. 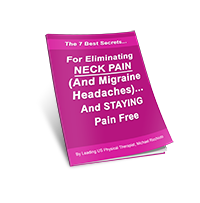 At Physical Therapy Now Fox Chapel we enhance your life by developing specific individual strategies for you that will heal your body naturally in the least amount of time. Common conditions treated by Physical Therapy Now Fox Chapel are: Complex low back and neck pain, shoulder problems, elbow, wrist and hand problems, sacroiliac, hip, knee, ankle, and foot problems, urinary and bowel incontinence, pelvic pain and dysfunction. All of our therapists evaluate and treat all movement disorders associated with walking and balance, pre and post surgical conditions and return to fitness conditions. In addition to our multi-specialty orthopedic practice Physical Therapy Now provides highly specialized personal training services for those with pelvic pain and incontinence at this location. At Physical Therapy Now Fox Chapel you do not need a referral from a physician to schedule an appointment and most insurances are accepted. Private pay and payment plans are available so that anyone can achieve health, wellness, and fitness without the burden of finances restricting a person’s health goals. Please call our office at (412) 794-8352 for any financial planning questions. 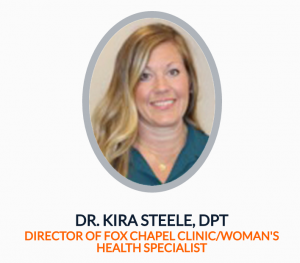 Dr. Steele graduated from Chatham University in 2013 with a Doctor of Physical Therapy degree. 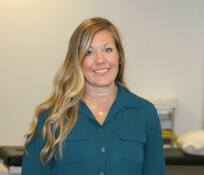 Since then, she has been working in an outpatient environment, specializing in all orthopedic spinal and extremity conditions. In addition Dr. Steele specializes in treating all types of female and male pelvic floor dysfunction, urinary and bowel incontinence, pelvic pain, frequency and urgency issues, post-prostatectomy, prenatal and post-partum musculoskeletal pain, low back pain, sacroiliac disorders, pelvic floor therapy, lymphedema and peripheral vascular disorders. Dr. Steele also has been trained to treat and manage lymphedema and wounds and to provide follow-up care to patients throughout their life. 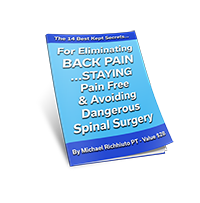 Furthermore, she has been an integral part in reducing swelling for post-op and post-traumatic injury patients so that they can have better outcomes and more quickly regain range of motion and return to function. 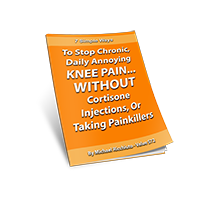 Additionally, Dr. Steele is experienced in the management of athletes at any competitive level and incorporates exercise and manual techniques in the treatment of the complex female athlete.